GBC's document laminating pouches come in a range of sizes and laminate weights. 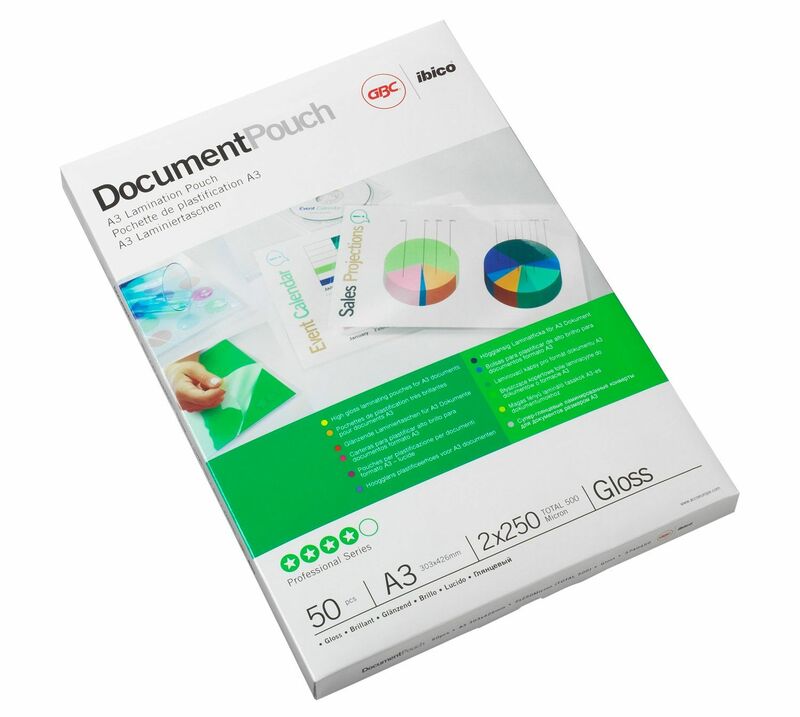 The A3 document laminating pouches will protect heavily handled daily reference documents/pages with a tough glass-clear laminate that adheres to both sizes of printed matter. These pouches come in packs of 100 and have a thickness of 150 microns. 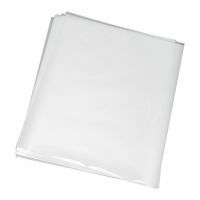 These pouches have a high gloss finish ensuring a professional look and are usable with all standard A3 pouch laminators. The pouches ensure a super-flat, wrinkle and wrap free production. The pouches have a tough glass-clear laminate that adheres to both sizes of printed matter. It enhances and deepens printed colours and is lasting. There is also a carrier-free operation ensuring practicality. 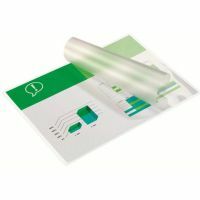 The pouches are designed to ideally 'encapsulate' standard A3 paper with extra space for error and easy paper alignment.